END UNIT TOWNHOME ON PREMIUM LOT! Must see PRIVATE backyard area with oversized patio and privacy fencing, backing to scenic wooded area for the ultimate in privacy. Convenient extra parking beside the unit - perfect for your guests! Beautifully maintained open floor plan with upgraded molding package, wood floors throughout the main level, granite kitchen counter tops, stainless steel appliances, 42 inch cabinets and more! Gorgeous master suite with walk-in closet and master bath with oversized shower and dual vanities. The secondary bedrooms are spacious and there's a convenient second floor laundry. The finishes are all neutral and the flooring is in excellent condition! Park South offers resort style amenities including fitness center, clubhouse, pool, dog park, and easy access to Little Sugar Creek Greenway. This quiet gated community is minutes from the light rail and a very easy commute to SouthPark and Uptown! 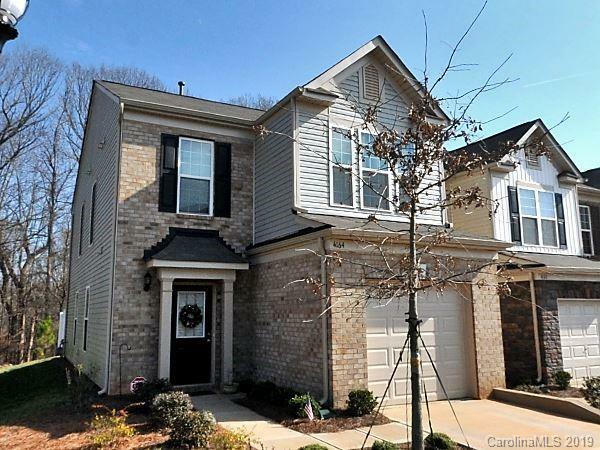 Offered by Charlotte Select Properties. Copyright 2019 Carolina Multiple Listing Services. All rights reserved.